The Best Forest blogs from thousands of top Forest blogs in our index using search and social metrics. Data will be refreshed once a week. Global About Blog The latest forest news on REDD , climate change, biofuels, gender, conservation, trade, deforestation, indigenous and community groups, dry forests, food security, illegal logging, governance and biodiversity.The Center for International Forestry Research is a non-profit, scientific facility that conducts research on the most pressing challenges of forest and landscape management around the world. Facebook fans 30,130. Twitter followers 40,980. Washington, DC About Blog The GFW blog catalyzes conversations around improved forest management by providing timely, credible analysis on threats to global forests. Global Forest Watch (GFW) is an interactive online forest monitoring and alert system designed to empower people everywhere with the information they need to better manage and conserve forest landscapes. Facebook fans 4,951. Twitter followers 14,287. UC Berkeley About Blog University of California Cooperative Extension forestry provides research-based solutions to natural resource related problems through applied research, publications, meetings, conferences, workshops, demonstrations, field days, video programs, newsletters, and facilitation. Facebook fans 854. Twitter followers 467. San Francisco, CA About Blog This is a community of users creating a place to discuss planting trees, milling logs, forest management, urban forestry, chainsaws, skidders, trucks, or any other forestry equipment, sawmills, firewood etc. and everything in between. Facebook fans 1,167,128. Twitter followers 526,086. Washington, DC About Blog American Forests restores threatened forest ecosystems and inspires people to value and protect urban and wildland forests. We're dedicated to educating the public about the many benefits of trees and forests. Facebook fans 219,350. Twitter followers 22,193. Missoula, MT About Blog Forest Business Network is a comprehensive source of forest products industry information and resources. Covering forestry, biomass, biofuels, sawmills, logging, wood pellets, and much more. Facebook fans 952. Twitter followers 1,935. BRA CHN EUR IND IDN MEX USA About Blog World Resources Institute (WRI) is a global research organization working on six critical goals that the world must achieve this decade in order to secure a sustainable future:climate, energy, food, forests,water, cities & transport. Facebook fans 119,416. Twitter followers 144,712. Washington, DC, USA About Blog Follow the latest news from the American Forest Foundation, a forest conservation non-profit that works with family forest owners to conserve wildlife, water, and clean air. Facebook fans 22,705. Twitter followers 10,580. Washington, DC About Blog The Forest Service is an agency of the U.S. Department of Agriculture. The Forest Service manages public lands in national forests and grasslands, which encompass 193 million acres. The mission of the USDA Forest Service is to sustain the health, diversity, and productivity of the Nation’s forests and grasslands to meet the needs of present and future generations. Facebook fans 129,274. Twitter followers 133,059. Charlotte, NC About Blog This blog covers forestry, wood products, pulp and paper products, bioenergy, biochemicals and sustainability topics. Oregon About Blog The Oregon Department of Forestry protects 16 million acres of Oregon's public and private forestlands from wildfire, manages 800,000 acres of Oregon's state forests, enforces the Oregon Forest Practices Act and other rules and laws to conserve Oregon's forests. Facebook fans 24,153. Twitter followers 6,496. Fort Collins, Co About Blog The Colorado State Forest Service provides technical forestry assistance, wildfire mitigation expertise and outreach and education to help landowners and communities achieve their forest management goals. Facebook fans 2,423. Twitter followers 142. About Blog The Annals of Forest Science blog aims to be a forum for debate and commentary on papers published in forest science in the Annals of Forest Science journal and in the world at large. Facebook fans 117. Twitter followers 290. About Blog The Forest Solutions blog is a platform to share in-depth commentary on solutions to safeguard forests as well as personal anecdotes showcasing the impact of specific solutions. This blog aims to provide a platform to exchange knowledge and innovate ideas for a sustainable forest future. The Forest Solutions platform is an open community. Scotland About Blog Forestry Commission Scotland works to protect and expand Scotland's forests and to increase their value to society and the environment. It also manage Scotland's National Forest Estate. Facebook fans 12,171. Twitter followers 20,953. Oregon About Blog We use TreeTopics as a means to communicate information and share perspectives with woodland owners and other people interested in forest management in our area. UK About Blog Greenpeace defends the natural world and promotes peace by investigating, exposing and confronting environmental abuse, and championing solutions. Facebook fans 721,287. Twitter followers 175,129. San Francisco About Blog Rainforest Action Network campaigns for the forests, their inhabitants and the natural systems that sustain life by transforming the global marketplace through education, grassroots organizing and non-violent direct action. Facebook fans 418,103. Twitter followers 83,041. Washington, DC About Blog Forest Trends works to conserve forests and other ecosystems through the creation and wide adoption of a broad range of environmental finance, markets and other payment and incentive mechanisms. Facebook fans 2,505. Twitter followers 5,170. Southern England About Blog Welcome to the New Forest National Park Blog. Our Bloggers are staff members and guests with an interest in keeping you connected with what is happening in the Park. The UK's New Forest National Park is famous for its stunning landscapes, diverse wildlife, coastline and picturesque villages. Facebook fans 25,401. Twitter followers 13,715. Portland, OR About Blog The World Forestry Center is a non-profit located in Portland, Oregon created to educate and inform people about the world’s forests, trees and environmental sustainability through our museum, international fellowship program, conferences and events. Facebook fans 4,805. Twitter followers 1,798. Sonoma County California About Blog Health care providers routinely refer to certified forest therapy guides, who are recognized as credible and effective professionals. Forest therapy is understood and accepted within Western culture as an identifiable and valued practice, of the same stature as yoga, mindfulness meditation, and other comparable practices. Facebook fans 4,198. Twitter followers 370. St. Louis, MO About Blog Forest Park Forever is a private nonprofit conservancy that works in partnership with the City of St. Louis and the Department of Parks, Recreation and Forestry to restore, maintain and sustain Forest Park as one of America’s greatest urban public parks. Facebook fans 12,926. Twitter followers 6,684. Toronto, Ontario About Blog Forests Ontario is the Voice for our Forests. Our restoration, stewardship, education and awareness efforts ensure healthy forests for the future. Forests Ontario's vision is a future of healthy forests sustaining healthy people, a flourishing environment and a robust economy for generations. Facebook fans 11,608. Twitter followers 10,135. Denver, Colorado About Blog Our goal is to solicit broad participation from a cross-section of interests in a respectful atmosphere of mutual learning on topics related to the Forest Service and public lands policy. We believe that ideas will be stronger and choices clearer if developed through such a multidisciplinary, multi-perspective dialogue. United States About Blog A non-profit organization that represents the directors of the state forestry agencies from all 50 states, the District of Columbia and seven U.S. territories. NASF's mission is to represent State and Territorial Forester interests by influencing forest policy and leading efforts to optimize social, economic, and environmental benefits of trees and forests. Facebook fans 6,743. Twitter followers 7,900. USA About Blog The Forest Stewards Guild is a professional organization of forest stewards, associated natural resource professionals, and affiliates who are passionate about restoring and sustaining the integrity of our forests. Our mission is to promote ecologically, economically, and socially responsible forestry. Facebook fans 1,034. Twitter followers 5,888. Montreal, Quebec About Blog The Resolute Forest Products Blog is a blog published by Resolute Forest Products. Resolute Forest Products is a global leader in the forest products industry with a diverse range of products, including market pulp, wood products, tissue, newsprint and specialty papers. Buir, Germany About Blog This blog is for the preservation of the Hambach Forest and the planet Earth. Facebook fans 11,360. Twitter followers 4,044. Merseyside & Cheshire About Blog The Mersey Forest is a growing network of woodlands and green spaces across North Cheshire and Merseyside, which has been creating 'woodlands on your doorstep' for 20 years. The largest of these designated Community Forest areas covers more than 500 square miles of Merseyside and North Cheshire and was named The Mersey Forest. Facebook fans 1,857. Twitter followers 2,633. East Sussex - England About Blog Ashdown Forest is one of the largest public access spaces in South East England. A great place for walking with spectacular views, rich in history and wildlife. The Forest Centre is the headquarters of the Conservators of Ashdown Forest who are responsible for the management the Forest. It is the best starting point for finding out about the Forest, what you can see, and where you can go. Facebook fans 3,415. Twitter followers 3,506. Tillamook, Oregon About Blog The Oregon Department of Forestry blog for all things Tillamook State Forest. The Tillamook Forest Center is a special place to develop a deeper connection with Oregon’s forests through experience and exploration. Facebook fans 4,047. Twitter followers n/a. About Blog Forisk analyzes forest supplies, wood demand and timber pricing to develop forecasts and strategic guidance for clients. Our approach emphasizes rigorous research, clear communication, localized analysis and direct forestry experience. South Africa About Blog SA Forestry magazine serves the forestry industry of southern Africa from seedling to sawmill. It covers all aspects of commercial timber bi-monthly. Facebook fans 1,277. Twitter followers 1,459. Ontario, Canada About Blog The Working Forest newspaper was established by Judy Skidmore in November 1997 to provide news information for and about the Canadian forest industry. The Working Forest newspaper strives to be the main communications conduit for the forest industry in Canada. Facebook fans 775. Twitter followers 4,005. North America About Blog Forest Industry Network is the online destination for companies seeking information, products, and services in the North American forest industry. Forest Industry Network provides marketing services for businesses, associations, and organizations that work directly in, or service and supply, the forestry, wood processing, and biomass industries. Facebook fans 464. Twitter followers 3,255. About Blog Explorer, Artist, Photographer, Environmentalist, Nature lover, Organic gardener, Activist, Bone collector. I spend my time exploring and studying the Appalachian Mountains. All photos on this blog are my own. Oregon City, OR About Blog Hopkins Demonstration Forest is a 140-acre privately-owned forest open to the public for self-guided exploration, tours, workshops, and education programs. Forests Forever, Inc. operates Hopkins Demonstration Forest as an accessible example of sustainable forestry, which provides woodland products, fish and wildlife habitat, and experiential learning opportunities. About Blog This is a blog on forest. Watch videos of Forest. Brussels, Belgium About Blog The European State Forest Association (EUSTAFOR) represents 32 state forest management organizations that practise sustainable and multifunctional forest management. Eugene, Oregon About Blog Our mission is to protect national forests and to reform the U.S. Forest Service by advocating environmental ethics, educating citizens, and defending whistleblowers. FSEEE is made up of thousands of concerned citizens, present, former, and retired Forest Service employees, other government resource managers, and activists working to change the Forest Service's basic land management philosophy. Facebook fans 1,138. Twitter followers 160. Vancouver & Coastal BC About Blog Coast Forest Products Association is based in Vancouver, B.C. and represents members that operate along British Columbia’s beautiful coast. Coast Forest takes a leadership approach to ensuring that B.C.’s coastal forestry sector continues to thrive so it can support individuals and communities, and sustain the health of our forests and ecosystems for generations to come. Facebook fans n/a. Twitter followers 3,148. Chesterfield About Blog This blog has been designed to help link schools, other settings and individuals running, assisting, supporting or working towards running Forest Schools sessions across Derbyshire. Facebook fans n/a. Twitter followers 8,318. England About Blog The Woodland Trust is the UK's leading woodland conservation charity. Heartwood Forest is located either side of the B651 between Sandridge and Wheathampstead Village and 2.5 miles north of St Albans City Centre in Hertfordshire. Facebook fans 349,946. Twitter followers 155,228. England About Blog Jerwood Open Forest is a collaboration between Jerwood Charitable Foundation and Forestry Commission England with the support of Arts Council England. Pennsylvania About Blog Penn State Extension-Centre County provides this blog as a source of information to the central Pennsylvania forestry community. Dave is a Regional Forest Resources Educator for Penn State Extension out of Centre County. ?Mecklenburg, NY About Blog This blog shares useful information about methods for improving forest health and increasing productivity and diversity, along with the happenings of our farm and educational programs. Facebook fans 1,821. Twitter followers n/a. England About Blog The Woodland Trust is the UK's leading woodland conservation charity. We aim to create new native woodland with the help of communities, schools, organisations and individuals; protect our precious ancient woods, restore the ones that are damaged and fight for those under threat; inspire people up and down the country to visit woods, plant trees, and enjoy the many benefits that woodland. New Zealand About Blog Forest & Bird is New Zealands leading independent not-for-profit conservation organisation that protects and restores New Zealand's natural heritage and native species, on land and in the ocean. Watch videos on Youtube. Facebook fans 106,225. Twitter followers 11,333. Global About Blog CIFOR envisions a more equitable world where forestry and landscapes enhance the environment and well-being for all. CIFOR is a member of the CGIAR Consortium and leads the CGIAR Research Program on Forests, Trees and Agroforestry. Watch videos on Youtube. Brantford, Ontario, Canada About Blog The official YouTube channel for Tigercat forestry equipment. Tigercat designs and builds premium quality, purpose-built forestry equipment for felling, transporting, processing and loading tree-length and cut-to-length timber. In addition, Tigercat engineers and builds specialized machinery for severe duty off road industrial applications. Facebook fans 57,318. Twitter followers n/a. Oregon About Blog ODF serves Oregonians by helping to keep forests healthy, working, and sustainable. Its mission is to serve the people of Oregon by protecting, managing, and promoting stewardship of Oregon's forests to enhance environmental, economic, and community sustainability. Toronto, Ontario About Blog Forests Ontario is a nonprofit, registered charity. Our vision is a future of healthy forests sustaining healthy people, a flourishing environment and a robust economy for generations. Watch videos on Youtube. Facebook fans 11,608. Twitter followers 10,134. United States About Blog We are forest farmers, university faculty, and agency personnel working together to provide useful and credible information to farmers who are interested in forest farming. Through expertise and collaboration, communities can enhance the value of their forest and agricultural landscapes. Facebook fans 877. Twitter followers 104. Camden Town, London About Blog London Tree Surgeons is a commercial, local authority, forestry & woods management. This channel is about trees, woods and forests. Facebook fans 104. Twitter followers 605. Bethesda, MD About Blog The Society of American Foresters (SAF) is the national scientific and educational organization representing the forestry profession in the United States. Founded in 1900 by Gifford Pinchot, it is the largest professional society for foresters in the world. Facebook fans 5,305. Twitter followers 6,771. Vancouver, BC, Canada About Blog University of British Columbia Faculty of Forestry is Canada's largest forestry school and a global leader in education & research for forest conservation, forest products & natural resources. Facebook fans 2,712. Twitter followers 3,596. Washington DC About Blog SFI Inc. is a fully independent, charitable organization dedicated to promoting sustainable forest management. We work with conservation groups, local communities, resource professionals, landowners, and countless other organizations and individuals who share our passion for responsible forest management. SFI stands for future forests & is one of the fastest-growing forest certification programs. Facebook fans n/a. Twitter followers 43,927. Washington, DC About Blog American Forests restores threatened forest ecosystems and inspires people to value and protect urban and wildland forests. Founded in 1875, the oldest national nonprofit conservation organization in the country has served as a catalyst for many of the most important milestones in the conservation movement, including the founding of the U.S. Watch videos on Youtube. Kalamazoo, Michigan About Blog Adventures in regenerative living. Permaculture, Restoration, Forest Gardening. Pathways to plenty: regenerative landscaping, food forest gardening, green home consultation, place-based products, Permaculture design and education. Devon, United Kingdom About Blog Agroforestry and Forest Gardening is my passion. I work in researching and propagating edible perennial plants and also in designing forest gardens - an ingenious system of growing food through an interconnected perennial plant community, modeled on a natural woodland. India About Blog What is here is nowhere else; what is not here, is nowhere... For the land south of the Himalayas is special... And it is about my experiences in this nation, as a traveler, as a forester and as a viewer. California About Blog This blog helps us to return Sagehen Basin to a more resilient, healthy forest. Washington, DC About Blog SFI Inc. is an independent, nonprofit organization dedicated to promoting sustainable forest management. We work with conservation groups, local communities, resource professionals, landowners, and countless other organizations and individuals who share our passion for responsible forest management. About Blog This blog is about the new era of forest health and restoration in the fire prone forests of the West. Posts will be discussing topics related to the forest. Perspectives are balanced with conservation and smart utilization of our forests. The goal of this blog is to change the perception of what is happening with our forests to drive positive change. Facebook fans 470. Twitter followers 9. United States About Blog IFCO is the largest grower of container seedlings in the Southeastern United States. IFCO produces longleaf, loblolly, slash, shortleaf and Virginia pine seedlings as well as wiregrass. Marina Commercial Park, Cork About Blog The Forestry Company is one of the largest timberland management companies in Ireland. We manage forestry for both private and institutional clients, both farmers and non-farmers and are happy to meet with you at any time to discuss your forestry needs. About Blog Forestry Investment blog. This blog is to share my opinions and also to provide you with general forestry related news, with a particular emphasis on investing in forestry, its impact on the environment and the returns that might be available from forestry as an investment. I hope it offers you some insight into the world of forestry investments and management. Nigeria, Ibadan About Blog The Official Blog of Forestry Research Institute of Nigeria (FRIN). Forestry Research Institute of Nigeria (FRIN) was established as Federal Department of Forestry Research in 1954. Its mission is to ensure sustainable management of our environment and forest resources for the benefit of present and future generations through appropriate research and training. Facebook fans 863. Twitter followers 357. East Lansing, Michigan About Blog The Department of Forestry is located in the Natural Resources Building on the Michigan State University campus in East Lansing, Michigan. Facebook fans 1,256. Twitter followers 216,321. 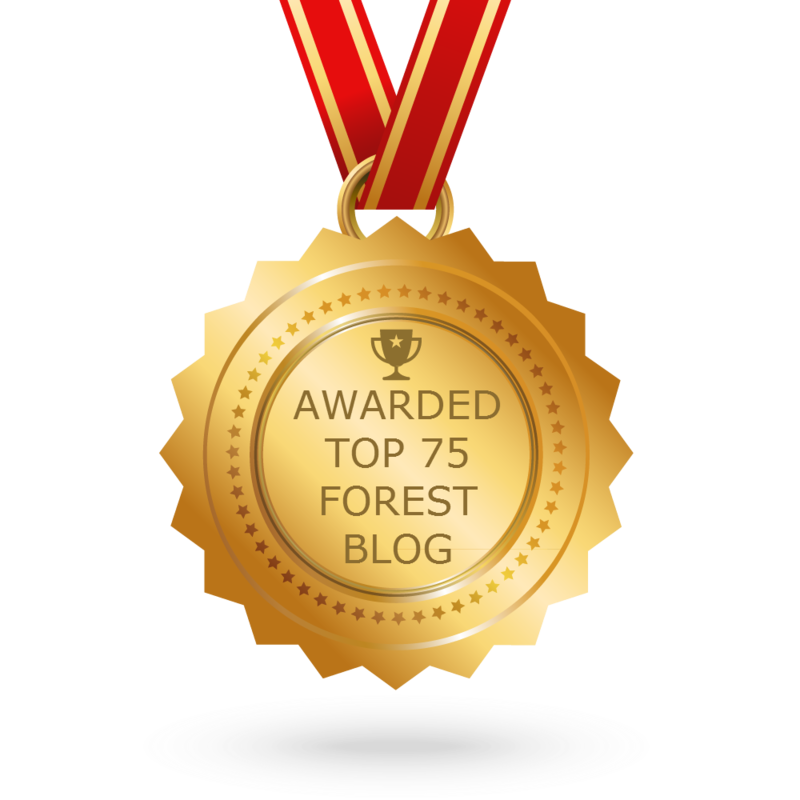 CONGRATULATIONS to every blogger that has made this Top Forest blogs list! This is the most comprehensive list of best Forest blogs on the internet and I’m honoured to have you as part of this! I personally give you a high-five and want to thank you for your contribution to this world.